The listing reads, “With an apartment this nice, you’ll feel like you’re living a double life.” It’s also careful to mention the bright neon sign across the street that never bothered Matt because of his disability. Moreover, it adds that the loft was left “unscathed by recent tremors,” a nod to the the events that kicked off The Defenders. The availability date is said to be October 19, the same day the new season of Daredevil debuts on Netflix. Based on the footage and still images we’ve seen so far, the new season of Daredevil appears to draw the bulk of its influence from Frank Miller and David Mazzucchelli’s Born Again storyline. That arc began when Wilson Fisk learned the Man Without Fear’s true identity and subsequently set out to ruin his life in the most personal ways imaginable. One of the Kingpin’s first orders of business was to blow up Murdock’s apartment in the middle of the day. The show’s producers seem to be following that narrative thread by making its protagonist homeless for a little while. All 13 episodes of Daredevil season 3 will be available all at once starting Friday, October 19. Returning to the series are Charlie Cox as Matt Murdock/Daredevil, Elden Henson as Foggy Nelson, Deborah Ann Woll as Karen Page, and Vincent D’Onofrio as Wilson Fisk. New additions to the series include Wilson Bethel as Benjamin Poindexter/Bullseye, Jay Ali as Ray Nadeem, and Joanne Whalley as Matt’s estranged mother, Maggie. 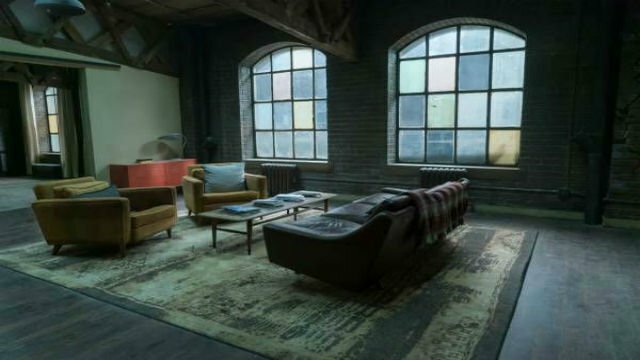 Would you take up the lease on Daredevil’s apartment? Let us know in the comment section below!